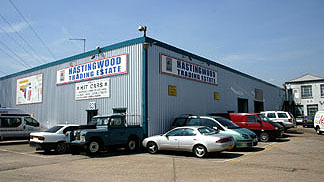 Hastingwood Trading Estate is fortunate to have a naturally secure perimeter. There are just 2 access points for road traffic, the site boundaries comprising a canal, neighbouring buildings and our own walls and fences. The main entrance is fitted with entrance barriers and is manned by our own Security staff 24/365 whilst the rear entrance gate is locked overnight and at weekends unless opened at specific tenant request. We provide 24/365 access to all of our tenants, and therefore their staff and customers, but within the practical constraints imposed by this we have tried to make the entire site as secure as possible. There is a continuous security staff presence on site and foot patrols augment the use of CCTV cameras. CCTV. We have installed our own CCTV system on the Estate. This provides 32 cameras split into 2 physically distinct systems each of which are computer based and feature �state of the art� software and storage capability. All motion detected on the Estate is recorded with up to 8 weeks of recorded data being available. Searches, access and replays are fast and convenient, and the colour picture quality is excellent. Many of the cameras are PTZ adjustable �speed domes� and they can be controlled from several locations on the Estate and via the internet by any remote user. 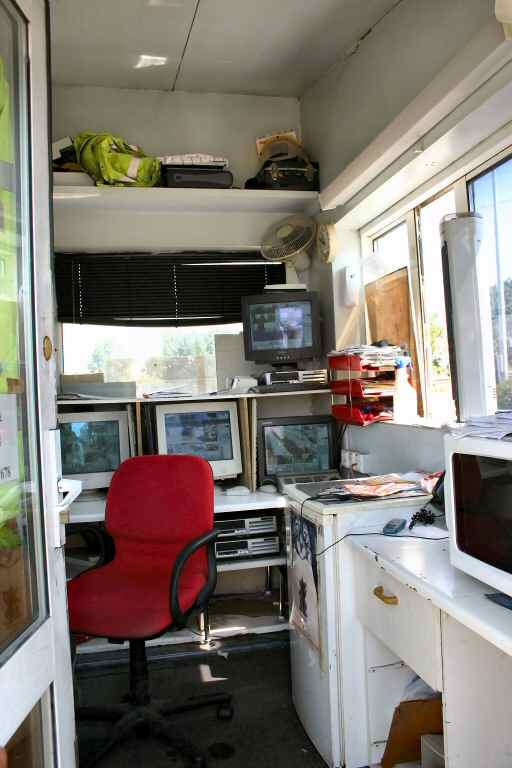 The CCTV system is continuously monitored in the Hastingwood Trading Estate Security Hut and also in the management office during office hours. New features are being added to the system as they are developed and tested. All of the Hastingwood CCTV installations are designed and installed by our own engineers. We have installed similar systems for third parties who have commented on our own arrangements and would be pleased to demonstrate the installation to both potential tenants or customers. Conventional security measures include the selective use of external and internal security doors and PIR triggered alarms and flood lights. Many premises on Hastingwood Trading Estate are individually alarmed. Security is enhanced by selective PIR lighting and the estate overall is well lit. Our maintenance staff have �hardened� some units to tenant requirements over the years, and we are pleased to state that we have an enviable �security� reputation locally and with the police. Management and Staff are as motivated as our specialist security staff � any potential theft, damage or vandalism annoys us as much as it would any tenant, and all of our people on site contribute valuable job knowledge and awareness of tenant needs and routines to help prevent most problems before they occur. It is important to appreciate however that security can never be perfect. Despite our natural advantages and the investment in CCTV, and the efforts of our security, management and maintenance staff there is also a crucial role to be played in applying our job knowledge and experience to helping tenants improve their own security awareness and staff training. This is an important issue for both tenants and estate management, and we take it very seriously. Bottom Line. Unfortunately no site can ever be made perfectly secure. In the real world, Security is always a trade off against Cost and Convenience. In North London, insurance premiums are high for a very good reason. However, what can be done with hard work and investment is to make premises as secure as possible, given whatever constraints apply or are accepted, and to deter �casual crime� by making it easier or better for intending burglars to go elsewhere. Of equal importance is to deter or detect �targeted crime� where individual tenants are the victims of disgruntled staff or people with insider knowledge. There are more targeted crimes than opportunistic ones and prevention requires a joint effort by Landlord and Tenants.